In recognition of American Heart Month, TSS and friends enjoyed an especially heart-healthy February. We improved our diets by sharing nutritious recipes, collaborated on strategies to manage our stress and get more sleep, and, most successfully, we got our steps in for TSS’s Walk Across America challenge. By the end of February, our growing band of walkers — including our teammates at Nationwide Medical Review in Indianapolis — walked a total of 1,514 miles, or 3,063,347 steps. That put us in Minot, North Dakota on our virtual map — almost halfway to the finish line in Washington DC. February was American Heart Month. 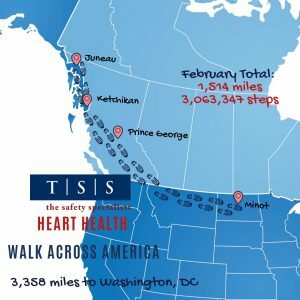 As a company committed to health and safety and knowing that exercise is one of the best ways to a healthy heart, TSS launched its Walk Across America challenge on February 1 as a fun way to inspire employees to exercise during the cold winter months. The team’s mission is to walk the equivalent number of miles that it would take to get from Juneau to Washington, D.C. In other words: capital to capital; coast to coast. That’s a total of 3,358 miles! Although February is behind us, the team of TSS employees and friends is committed to walking until the goal is reached. So, if you are ready to get moving, join our team. 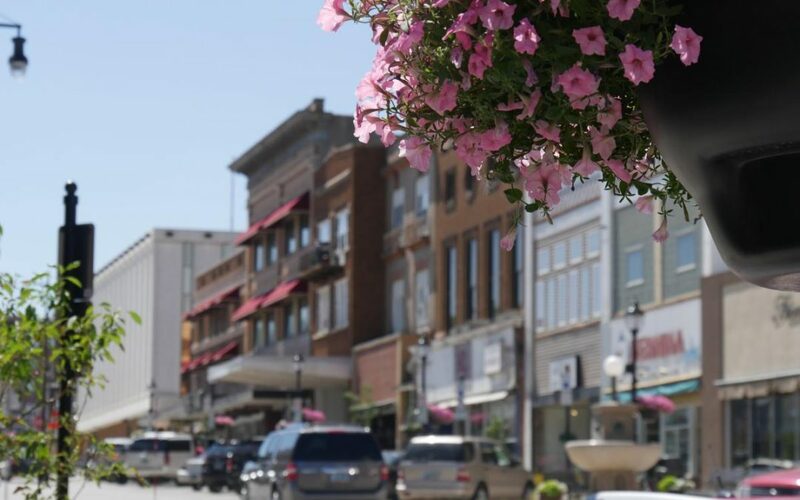 We’ll be heading to the Midwest next (virtually, that is!) Contact info@tss-safety.com for details. If you just want to follow along, visit TSS on Facebook at @TheSafetySpecialists for updates.